Shop this season’s Tutti and Co Jewellery Collection with Free UK Delivery. Invest in our fabulous new statement pieces from Tutti & Co Jewellery’s current season collection now at Lizzielane.com. Effortlessly chic and seriously on trend, the new Tutti & Co collection includes the most beautiful silver bracelets, necklaces, bangles, earrings, and rings. Tutti & Co Jewellery is a unique brand of fashion jewellery and accessories and this season the charms and pendants are bold cut out stars and hearts that will add interest to any outfit and their soft summer scarves are ideal for those long cool evenings. The designs of Tutti and Co Jewellery are original, timeless, feminine and most importantly of a high quality. When you shop for Tutti and Co with Lizzielane.com, your items will arrive beautifully packaged in a re-usable branded Tutti & Co calico bag making fabulous gifts for loved ones or an indulgent treat for you! Tutti & Co was created in 2004 by Kate Rose, with the aim to create an exclusive collection of timeless fashion accessories and jewellery. All of their products are carefully designed, simple and yet beautiful. They have a passionate team of designers who are focused on designing the most inspirational pieces possible, taking their creative vision from many different influences. At the heart of TUTTI&CO, Kate continues to develop the brand with love and dedication – from statement jewellery and scarves to distinctive gifts and homeware, their collections combine the most current of trends with originality to create a characteristic, timeless, individual range. Wear and live TUTTI & CO in your own unique way. 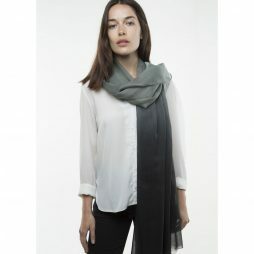 Wrap yourself up this season in this tactile Tutti & Co’s Charcoal Stud Scarf. A super soft scarf, featuring mixed metal studs to resemble a constellation. 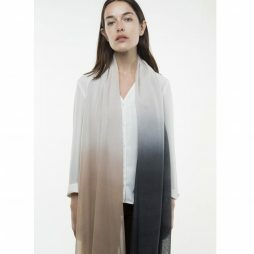 Designed as part of Tutti & Co’s Industrial range, this soft Allure Blush Scarf can be worn both ways due to its reversible pattern in stone and charcoal. A contemporary scarf design, from Tutti & Co’s Industrial range. The Blossom Ombre scarf teams a graduation of winter-hues from white, blush and charcoal. A transitional scarf design from Tutti & Co’s Harbour range. The Camo Ombre scarf features a graduation of winter-hues from white to khaki to charcoal.